The Insulator No.3 has two grooves whereas the No.2 has a single groove. Made of brown earthenware, white porcelain or black unbreakable composite material, this type of insulator was used when a pair of wires passed through but didn't terminate. The insulator is 4″ high and 2&frac38;″ in diameter. Between the spindle and the outer of the insulator is a water shed, designed to increase the insulation resistance under humid conditions. The centres of the two grooves are ½″ apart. The top surface of the insulator is 1″ in diameter. 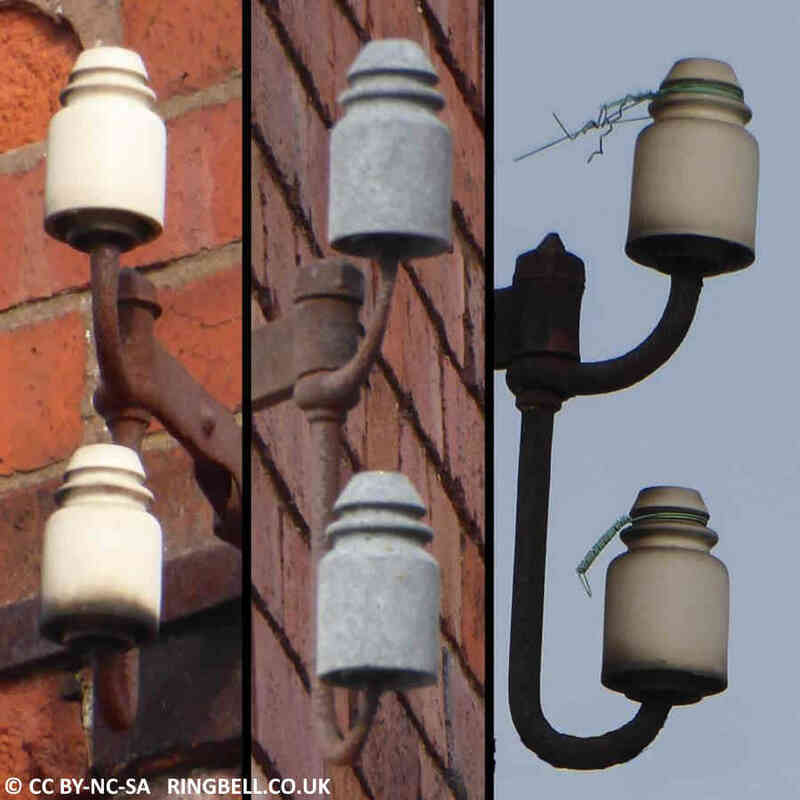 Locally there are many examples of single insulators screwed onto spindles carrying a dropwire clamp. I am guessing these were used in lieu of a bracket No.22 for dropwires.